Kitaro appears to be a normal human boy, but of course part of his charm is that he is so much more. He is perhaps the last of a Ghost Tribe of yokai and has inherited many useful, if unsettling, powers. Not unlike Superman, he uses these abilities to help regular people, even though they’re cut from a different cloth. Over time, his reputation as a person who helps humans avoid terrible fates at the hands of other yokai brings him into exciting adventures. In many stories, Kitaro acts as a paranormal investigator, called in by the Yokai Post, to solve mysterious deaths and disappearances that will appeal to any fan of The X-Files. This volume shows the first appearances of three characters that are easily to pick out from the lineup of the usual suspects in his supporting cast. First is his father Medama Oyaji (who has been reduced to a single eyeball by means you’ll have to see to believe! ), then Nezumi Otoko (the man who is like a rat, or perhaps the rat who is like a man! He’s kind of dirty and smelly like both can be), and of course Neko Musume (she appears to be a young girl, but has traits like a ferocious kitty if she gets a whiff of tasty fish or rodents). Of this lineup, Nezumi Otoko is probably gets the most of the spotlight. Ever the Daffy Duck to Kitaro’s Bugs Bunny, Nezumi Otoko is at times Kitaro’s friend, and others his rival. 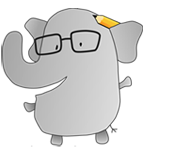 He is often at the impetus of many adventures, if not contributing to their comedic resolution. Mizuki himself has said that Nezumi Otoko is his favorite creation because the character allows him to not only create the sticky scenarios we enjoy watching Kitaro fight and think his way out of, but also because he serves as a mouthpiece for social satire and criticism. This facet of the character shines at its finest in one of Mizuki’s other popular works, as the narrator of the manga series Showa: A History of Japan, which is available in English in four volumes and also translated by Davisson. If you enjoy jaunts into the fun and mysterious realm of comics and mythology, don’t hesitate to pick up this affordable volume that offers a perfect introduction to a series that has captivated the imagination of generations. If you enjoy the mysterious and paranormal stories associated with yokai in supernatural anime like Mushishi, adventurous comics like Wayward, or the cute characters of the Yo-kai Watch series which has been giving Pokémon a run for its money, then you should get to know Kitaro, the granddaddy of the genre. This is also a great manga for younger readers who can enjoy monsters and tasteful grotesqueness. 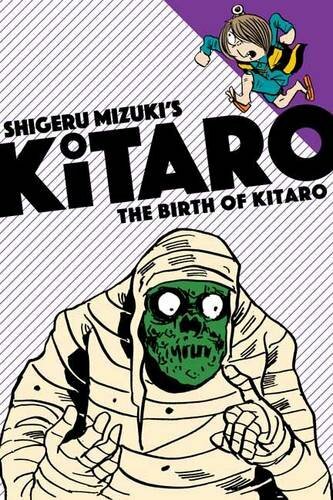 Above all, The Birth of Kitaro is funny, action-packed, and captivating in its creative portrayal of monstrous yokai and humans. Mizuki’s sense of humor expressed in text and in art deserves appreciation, and you deserve to appreciate it. So pick it up right away and keep any eye you can spare on the lookout for the next collection of Kitaro’s classic adventures, Kitaro Meets Nurarihyon, coming in October. 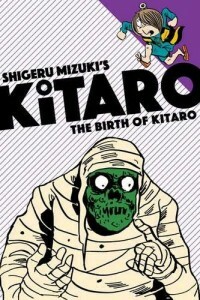 For more information on The Birth of Kitaro, click here.